We are a small parish of around 280 households 7 miles north of Glasgow. Our closest town is Milngavie and we are a largely dispersed rural community but include the villages of Bardowie and Balmore. We have a thriving playgroup and primary school, a church and we are home to the Balmore Trust, a charity. We were lucky enough to secure Climate Challenge Funding and ran a project which ended in March 2011. We carried out energy surveys and held awareness-raising events and think there has been a lasting positive effect. We were the first Community Council to join SCCS. Changeworks is a recognised leader in the delivery of practical solutions that enable people to live and work more sustainably. We are an environmental charity and social enterprise, with over 20 years’ experience, working in collaboration with organisations, schools, communities and businesses to: inspire and enable action to reduce CO2, waste and fuel poverty; build confidence and skills to make sustainable choices; share our knowledge and learn from others to maximise our impact; and deliver the best possible service creatively and professionally. The Church of Scotland is concerned that climate change poses a serious and immediate threat to people everywhere, particularly to those living in poverty; and that climate change represents a failure in our stewardship of God’s creation. We accept the need to reduce the emissions of greenhouse gases urgently to avoid dangerous and irreversible climate change; and to promote a more equitable and sustainable use of energy. Cycling UK Scotland is an elected volunteer committee of Cycling UK members from across Scotland, committed to representing everyday cyclists at national meetings and in responding to consultations. Policy topics include cycling as transport, land access, climate change, air quality, planning, road safety and wider transport policy which affects or is relevant to cycling. The Cycling UK Scotland committee also supports the activities and projects of Cycling UK in Scotland, promotes membership and brings Cycling UK members in Scotland together at an annual gathering. Eco-Congregation Scotland is an ecumenical movement which helps churches link environmental issues to their faith and take action in their church and local community. We are concerned about the impact climate change is having on the world’s poorest people. We believe that faith can be an important motivator in behaviour change and are working to harness this to reduce Scotland’s carbon emissions. There are currently 427 Eco-Congregations in Scotland. 142 of these hold the independently assessed Eco-Congregation Award. Edinburgh University Students’ Association is a democratic, student-led organisation representing Edinburgh University students to the University and beyond. We are an autonomous body with registered charity status and value our independence from the University of Edinburgh. We work closely with the University to ensure a world class student experience for all students at the University. In addition to running campaigns and representing the students views to the University and other external bodies the association operates a range of commercial services including bars, catering and retail outlets. Our buildings are also host to the main events of the Edinburgh Fringe Festival. The Edinburgh and Lothians Regional Equality Council (ELREC) is a non-profit organisation working with communities in Edinburgh and the Lothians to eliminate discrimination in all forms, reduce inequality, promote a culture of human rights, and foster good relations between communities and individuals. Founded in 1971, ELREC has over four decades of experience working in the field of equality and engaging with the diverse communities of Edinburgh and the Lothians. As a result ELREC now has strong links with educational institutions, EM associations, public bodies and charities. ELREC works with diverse public and third sector organisations to support communities and individuals. The Energy Agency is a non-profit making organisation, providing free, impartial and expert advice to households, businesses and communities covering energy efficiency, sustainable transport and renewable energy. The Energy Agency’s mission is to reduce CO2 and other greenhouse gas emissions, thus contributing to national reduction targets. The Energy Agency manage the Energy Saving Scotland advice centre for South West. It is tasked with assisting householders and local businesses throughout Ayrshire & Dumfries & Galloway to help reduce energy use as well as acting as a bridge between local authorities, consumers, trade, businesses and the energy market. Friends of the Earth Scotland is Scotland’s leading environmental campaigning organisation, and an independent Scottish charity with a network of thousands of supporters and active local groups across Scotland. We are part of the largest grassroots environmental network in the world, uniting over 2 million supporters, 75 national member groups, and some 5,000 local activist groups – covering every continent. We exist to help people in Scotland look after the planet for everyone’s future. We think globally and act locally in Scotland, delivering solutions to climate change by enabling and empowering people to take both individual and collective action. We’re the Glasgow University Students’ Representative Council, but you can call us GUSRC. Our job is to support the students of Glasgow University and ensure their time here is as enjoyable, safe and interesting as possible. Day-in, day-out we’re here to help, or even just listen to, the concerns of students. 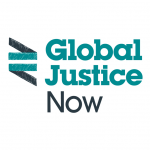 Global Justice Now is a democratic social justice organisation working as part of a global movement to challenge the powerful and create a more just and equal world. We mobilise people in the UK for change, and act in solidarity with those fighting injustice, particularly in the global south. Global Justice Now used to be World Development Movement. Greenpeace is an independent global campaigning organisation that acts to change attitudes and behaviour to protect and conserve the environment and to promote peace. We defend the natural world and promote peace by investigating, exposing and confronting environmental abuse, and championing environmentally responsible solutions. 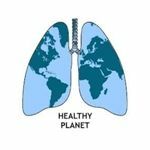 We are a group of students from across the UK who want to raise awareness of the links between global environmental change and health, and to help protect and promote human health through adequate climate mitigation and adaptation policy. We are affiliated to the Medsin-UK as one of its activities and seek to promote and work towards solutions at a range of levels. Our key areas of work – some older, some newer – are: Policy and advocacy – local to international; Education: non-formal and formal; Sustainable healthcare; Schools projects and teaching and International network-building. International Development Education Association Scotland (IDEAS) is a network of organisations and individuals across Scotland that actively support and promote Development Education and Education for Global Citizenship. Our members include the 6 Development Education Centres, large NGOs such as Oxfam and Christian Aid, and smaller local charities such as Rainbow Turtle. The Iona Community, is an ecumenical Christian community. Its members follows a five-fold rule, including ‘acting in solidarity with victims of environmental injustice and supporting political and structural change to reduce our over-consumption of resources’. Programmes at our centres, (Abbey and MacLeod Centre on Iona and Camas on Mull) often focus on environmental and climate change issues. Camas is based on a simple lifestyle and environmental sustainability. It is powered by wind turbine and solar panels and has its own organic garden. On the mainland, we focus on these issues too in our work with young people. The National Commission for Justice and Peace advises the Scottish Catholic Bishops’ Conference in matters relating to social and ecological justice, international peace and human rights, and promotes action in these areas, both locally and nationally. Our current campaigns focus on Asylum and Refugees, Poverty in Scotland, Renewal of Trident, and Climate Change. Keep Scotland Beautiful is the charity that campaigns, acts and educates on a range of local, national and global environmental issues to change behaviour and improve the quality of people’s lives and the places they care for. We are committed to making Scotland clean, green and sustainable. 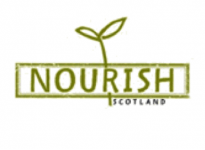 Nourish Scotland is an NGO campaigning on food justice issues in Scotland. We believe tasty and nutritious food should be accessible to everyone, be sustainable, and be produced, processed, sold and served in a way that values and respects workers. We campaign for solutions that work across the board: we take a systems approach toward food and health, poverty, fairness, workers’ rights, economy, environment, climate change, land use, and waste. NUS (National Union of Students) is a voluntary membership organisation which makes a real difference to the lives of students and its member students’ unions. We are a confederation of 600 students’ unions, amounting to more than 95 per cent of all higher and further education unions in the UK. Through our member students’ unions, we represent the interests of more than seven million students. 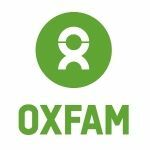 Oxfam is a global movement of people who share the belief that, in a world rich in resources, poverty isn’t inevitable. It’s an injustice which can, and must, be overcome. We fight poverty at its roots, with simple, smart solutions. When injustice causes poverty, we stand against it. When disasters hit, we’re ready around the clock to save and protect people, staying long after, leaving life better than before. The RSPB is the largest wildlife conservation charity in the UK. With more than a million members and nearly 20,000 volunteers together we speak out for nature. It says Birds in our title, but we’re also about other wildlife — it’s all interconnected and you can’t help one thing without helping all the others too. We work around the world, from people’s back gardens to the ferocious southern oceans, saving species from extinction, protecting special places for wildlife, and motivating people to add their voice to ours. Scottish Community Alliance is a coalition of Scotland’s community based national networks all of which work in different ways to support stronger and and more resilient communities. We publish a fortnightly briefing – Local People Leading – which is a mix of commentary on relevant policy and community action. You can subscribe to it via our website above. Scottish Communities Climate Action Network is a grassroots network of community groups that are taking action on climate change. As a ‘community of communities’ we provide a shared vision and voice for our members and work to address barriers and challenges so as to enable communities to shape their own low-carbon future and promote local resilience and wellbeing. The Scottish Catholic International Aid Fund (SCIAF) is the official overseas aid and development charity of the Catholic Church in Scotland. SCIAF supports projects in 15 countries in Africa, Asia and Latin America, helping hundreds of thousands of people of all faiths and none to overcome hunger, poverty, war and natural disasters every year. Inspired by the Gospel, our mission is to help the poorest free themselves from poverty by equipping them with the tools they need to survive and thrive. Working with the Scottish public, we put pressure on governments and big business to change the political and social systems that keep people in poverty. The Scottish Episcopal Church is a welcoming and inclusive Church that traces its history back to the beginnings of Christianity in Scotland. We are part of the world-wide Anglican Communion – a family of some 70 million Christians in more than 160 countries. The vulnerable and those in need are of particular concern to us. Justice, peace, and the care of the environment are also areas in which our members are actively involved. As a church we support a variety of mission and development projects at home and overseas. The multi-award winning Scottish Seabird Centre is located in North Berwick, East Lothian, overlooking the wildlife-rich waters of the Firth of Forth. A conservation and education charity, the organisation focuses on encouraging people to appreciate and care for wildlife and the environment. A world-leader in remote wildlife viewing, there are interactive live cameras on the world-famous Bass Rock, Isle of May National Nature Reserve, plus other harbours and islands. Visitors to the five star Discovery Centre can zoom in on the seasonal wildlife action and there are also boat trips, a gift shop and the Seabird Café. SCVO works in partnership with the voluntary sector to advance our shared values and interests. We have over 1400 members who range from individuals and grassroots groups, to Scotland-wide organisations and intermediary bodies. Through lobbying and campaigning SCVO works to advance the interests of our members and the people and communities that they support. SEAD aims to challenge the causes of poverty, social injustice and environmental degradation; and to support the community-based movement for positive social change. We believe that dynamic communities have the power to make positive changes in our society. SEAD’s projects support people to become part of this change. We work with communities in Scotland and in the developing world to exchange ideas, knowledge and inspiration. We provide tools and support to turn this into action. South Seeds is a community led organisation on Victoria Road, in the heart of Glasgow’s Southside. We work in partnership to improve the look and feel of the area. 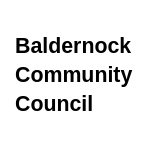 We support residents to lead more sustainable lives and we support agencies and local organisations to provide services which help residents lead sustainable lives. In an area just over a square mile, with 30,000 residents mainly living in Victorian tenements, we have been able to assist residents to reduce domestic energy consumption, grow vegetables, consider active travel options and reduce waste. Our vision is that Glasgow’s Southside becomes a real low carbon area through promotion of the sharing economy and reducing the barriers to leading a more sustainable life. 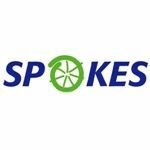 Spokes is a voluntary organisation with 1200 members, mainly in Edinburgh and Lothian, aiming to promote cycling for everyday transport, and to persuade councils and government to do the same. Activities include lobbying, public meetings, traffic counts, stalls, bike rides, and bike maps. Cycle use has grown from 1% of commuter trips when Spokes began to 7% now. A big success was Edinburgh Council allocating 5% of its transport budget to cycling, rising by 1% annually, reaching 10% in 2018/19. Thanks to widespread pressure, the Scottish Government has also raised active travel investment significantly, though it forms only 3.5% of the transport budget. Sustrans makes smarter travel choices possible, desirable and inevitable. We’re a leading UK charity enabling people to travel by foot, bike or public transport for more of the journeys we make every day. We work with families, communities, policy-makers and partner organisations so that people are able to choose healthier, cleaner and cheaper journeys, with better places and spaces to move through and live in. Tearfund has a big vision which we’ve been bringing into being since 1968. We know there’s God-given-potential in poor communities. We work with local churches to unlock this potential. With your help, we’ve seen millions escape extreme poverty – permanently. The UK Youth Climate Coalition aims to inspire, empower, mobilise and unite young people to take positive action on climate change for a cleaner, fairer future. We believe that to tackle climate change we need an inspiring vision of how we want the world to be and a movement that anyone can feel part of. At the UKYCC we place an emphasis on issues which relate closely to young people as part of a wider, cross-generational movement for change. 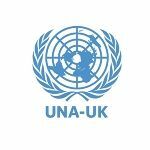 The United Nations Association – UK (UNA-UK) is the UK’s leading source of independent analysis on the UN, and a UK-wide grassroots movement. UNA-UK believes that a strong, credible and effective UN is essential if we are to build a safer, fairer and more sustainable world. We advocate strong government support for the UN and demonstrate why the UN matters to people everywhere. UNA-UK derives great strength from its members and supporters, and UK-wide network of local, school and university branches. Together, we form a critical mass of support for the UN in the UK and beyond. UNISON Scotland is part of Britain’s and Europe’s biggest public sector union, with more than 1.3 million members – around 150,000 in Scotland. Our members work across the public, private and voluntary sectors. Many have roles in which climate change impacts on their specific work, as well as the ways in which it does for everyone – at work and at home. We have members working for the Scottish Environment Protection Agency (e.g. protecting our rivers, land and the air we breathe), in environmental health, collecting household and business waste, ensuring new buildings meet stricter environmental and energy efficiency targets, providing healthy, sustainable food to school children and hospital patients, and in a myriad other ways, including with Scottish Water, providing clean, safe water for home, work and industry. Also, members support our International Committee and Green Network to do considerable work promoting climate action and climate justice, locally, nationally and internationally. UNISON is a longstanding member of Stop Climate Chaos Scotland and works with the STUC and other unions in the Just Transition Partnership. We are also part of the Scottish Food Coalition. The Women’s Environmental Network (WEN) is the only organisation in the UK that has worked consistently to make the links between women’s lives and environmental issues. WEN’s vision is of an environmentally sustainable world in which we have achieved gender equality. Our mission is to make the connections between women’s health and well-being and environmental issues. We want to inspire women to make environmentally informed choices about their health. We aim to empower women to become agents of change in their families, networks and society, and to participate equally in an environmentally sustainable future. West of Scotland Regional Equality Council (WSREC) is working towards a fairer society where people can live, learn and work free from discrimination or fear. WSREC has over 45 years experience of engaging with some of the most diverse communities in Scotland. Our vision is to work towards a society free from discrimination. We run a number of diverse and innovative projects which address a gap in service or need amongst minority ethnic communities in the West of Scotland. WSREC’s environmental project is called the Cook, Grow, Sew and Change, which encouraging minority ethnic communities to adopt a low carbon lifestyle through measures such as, energy efficiency, low carbon food, zero waste textiles, growing food in urban spaces and eco driving. In its fourth year the aim of the project is to encourage long term behaviour change within minority ethnic communities, across all ages within Glasgow, North Lanarkshire and Renfrewshire. WWF works in over 100 countries to safeguard the environment and build a future in which humans live in harmony with nature. Climate change threatens many of the planet’s species – including our own. WWF finds workable, practical solutions to the problems posed by climate change across governments, business and civil society. Young Friends of the Earth Scotland is a grassroots network of young people from across Scotland working collectively for social, environmental and economic justice in their communities. Our role is to provide collaborative platform for young activists in Scotland to come together to share ideas, skills, and and resources.